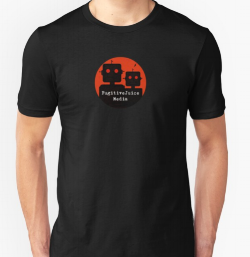 Check out the merch now available through Redbubble! The shirts include a variety of styles and colors, and then there's the mug, and of course there has to be stickers. Get price info, etc., by clicking on the pics.